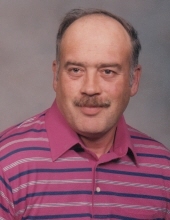 Clyde G. Babcock, 69, of Post Falls, Idaho passed away on January 29, 2019 in Spokane, Washington. He was born June 5, 1949 in Enumclaw, Washington to George Babcock and Clara Tappen. His parents divorced when he was very young. For a while he spent times of good memories with cousins in Spearfish, South Dakota. Then his father married Gladys Wendt. Clyde grew up in Post Falls, Idaho and graduated from Post Falls High School in the Class of ‘68. He immediately went into the US Navy and was then sent to Vietnam. Clyde was discharged in 1971. He then went to California where he worked for the Southern Pacific Railroad the next 11 years and was in the Navy Reserves. During this time, the railroad laid off employees and Clyde came to north Idaho to visit family and friends over Christmas. That’s when he met Bonnie Friborg. They were married the next summer. Clyde chose to go back into the Navy. While he sailed off to duty, Bonnie stayed at home in Treasure Island, Bremerton, and Port Orchard, Washington. Clyde also spent time in Desert Storm. Once he retired, the family moved back to Post Falls. They were long time members of the Post Falls Church of the Nazarene. Clyde is survived by his wife, Bonnie; her daughter and two grandsons; his father; two half-brothers; three half-sisters; and his birth mom. A memorial service will be held at 1:00 PM on Friday, February 15, 2019 at the Post Falls Church of the Nazarene, 308 W. 12th Ave., Post Falls, ID 83854 with a graveside service, including military honors, to follow at Evergreen Cemetery in Post Falls. To send flowers or a remembrance gift to the family of Clyde George Babcock, please visit our Tribute Store. Immediately following the memorial service. Military Honors will be conducted. "Email Address" would like to share the life celebration of Clyde George Babcock. Click on the "link" to go to share a favorite memory or leave a condolence message for the family.